Today, after the torrential rain, I rushed down to the Historical Society of Pennsylvania to find the 1837 African American Census. My $8.00 was well worth it although it started to seem as though I was going to go home empty-handed. No such luck! At any rate, the first volume I reviewed listed a Tobias Little. I took photos and made copies just in case. One never knows where there will be an error or typo. I reviewed two other volumes and found no Hogans or Littles. As I’m rushing to leave, I review the last volume and three pages in at the bottom of the page – I found Thomas Little living in Sterling Alley with eight family members, seven natives to Pennsylvania and one not native. This sounds like my family. The case supporting Thomas Little as my 5th great-grandfather is pretty compelling but it is indirect. There is a listing of Catherine Little (b 1788) as Thomas’ widow in the city directory. 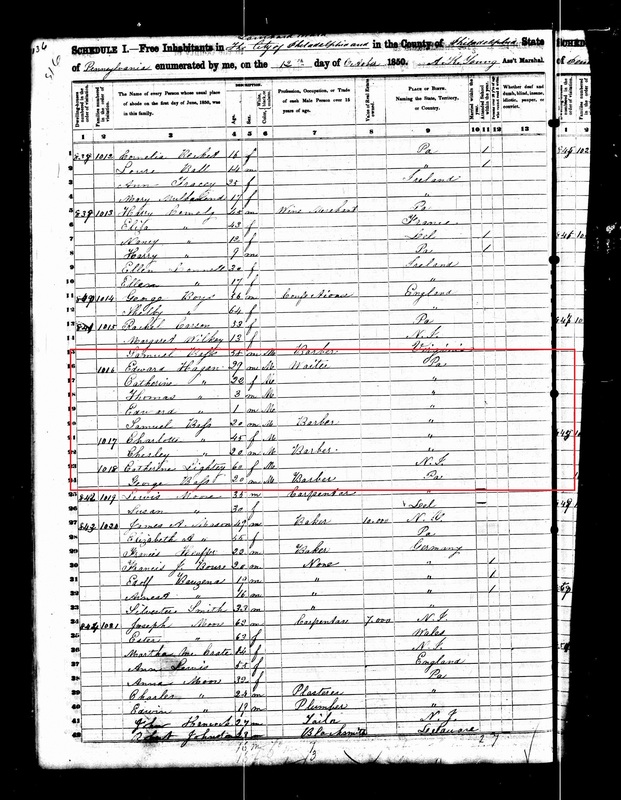 Thomas Little, Jr (Jul 1817) stated his father was born in Pennsylvania while his mother was born in New Jersey. We know Catherine states multiple times that she was born in New Jersey. 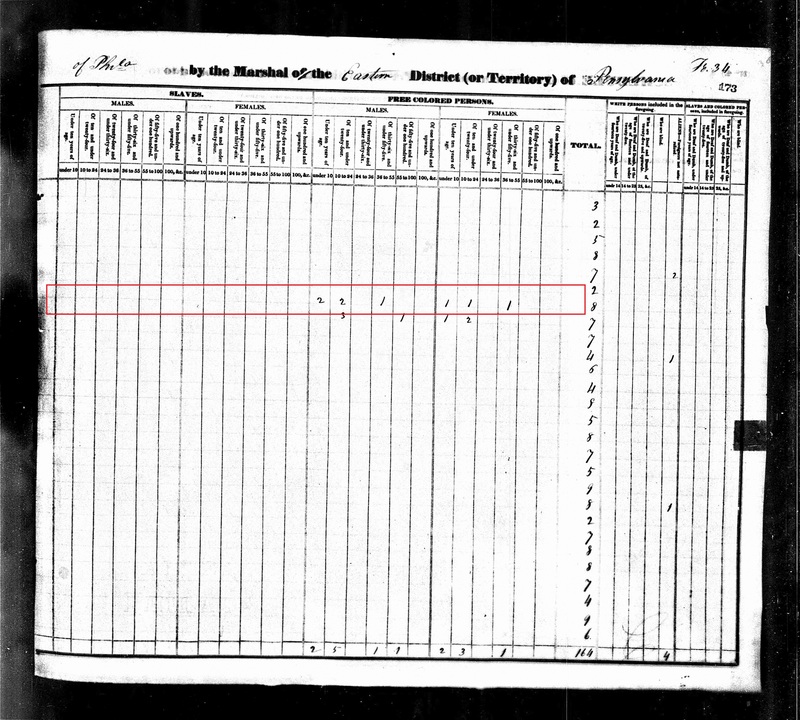 I found Thomas Little on the 1820 Census which is a good gauge for his age. I’m pretty confident that 1) Thomas and Catherine married and 2) Thomas was born in Pennsylvania between 1780 and 1790. If so, this would mean that Thomas Little would be the key for his descendents to qualify for in the First Families of Pennsylvania – Colonies and Commonwealth – 1638 – 1790. I plan to spend the next month trying to find additional information to support this contention as the deadline to apply is May 30 for recognition in October. Thomas worked as a sugar refiner or at a sugar refinery. He had not amassed any real estate, renting his home for $70 per year. His personal wealth was $350. Two of the children that lived with him (probably his children) attended school. Confirmation again that none of the members of the household were manumitted, i.e. they were not born enslaved. One member of the family belonged to Daughters of Ethiopia and the family attend The African Episcopal Church of St. Thomas for religious worship. What’s interesting about the St. Thomas confirmation, my grandmother, Thomas’ 3rd great granddaughter was Episcopalian. I had a hunch I was going to find that her choice of faith went back very far. My instinct now has been confirmed. 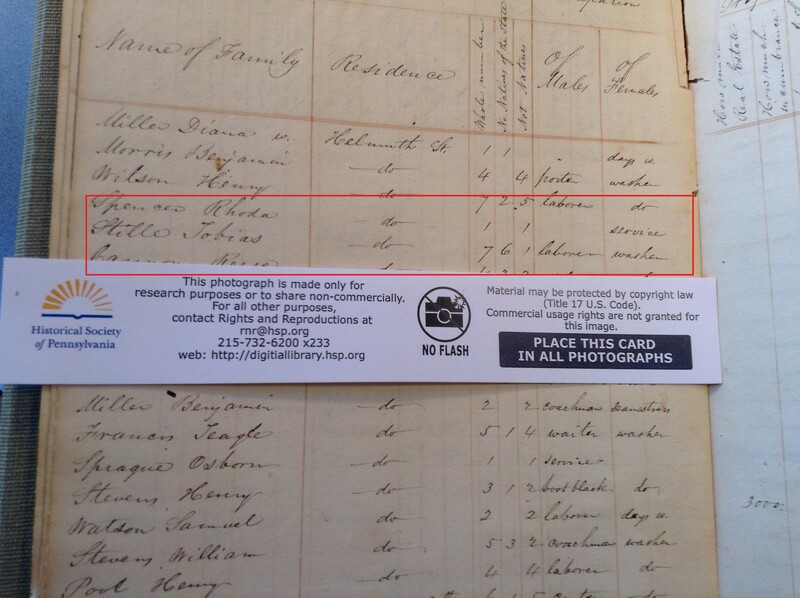 Gee, I don’t know – qualifying for First Families of Pennsylvania, confirming they were not born enslaved AND ascertaining the church my ancestors attended in the 1830s (which may lead to other documents) seems more than “nothing” to me! But maybe I’m not indifferent…eh…impartial. This week has been a very good week in breakthroughs. As always, I’m interested in building a network of researchers for this time period. Please spread the word. Thanks! Catherine Little was born in 1788 in New Jersey. I believe she had five sons and three daughters with Thomas Little. Further research is needed to confirm who she married if the information is available. 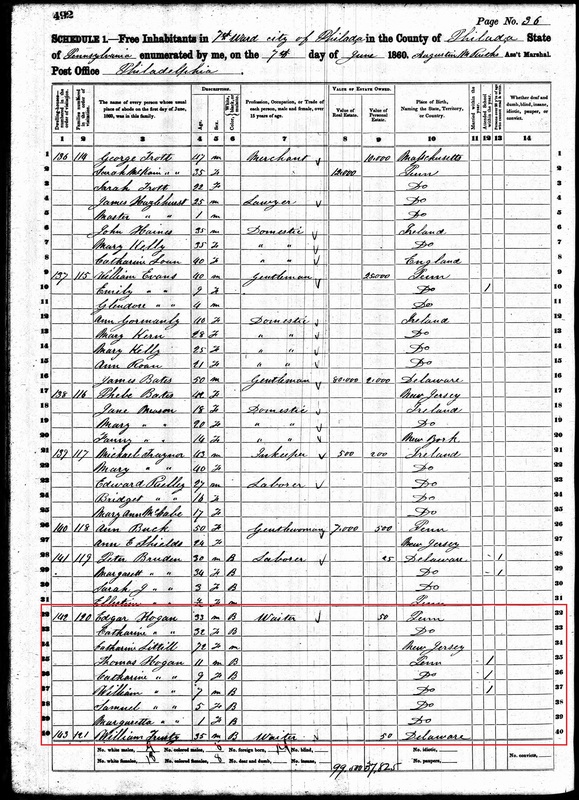 She died in Philadelphia, Pennsylvania after 1870 as she is listed in the 1870 Census living with her daughter Catherine (Little) Hogan. 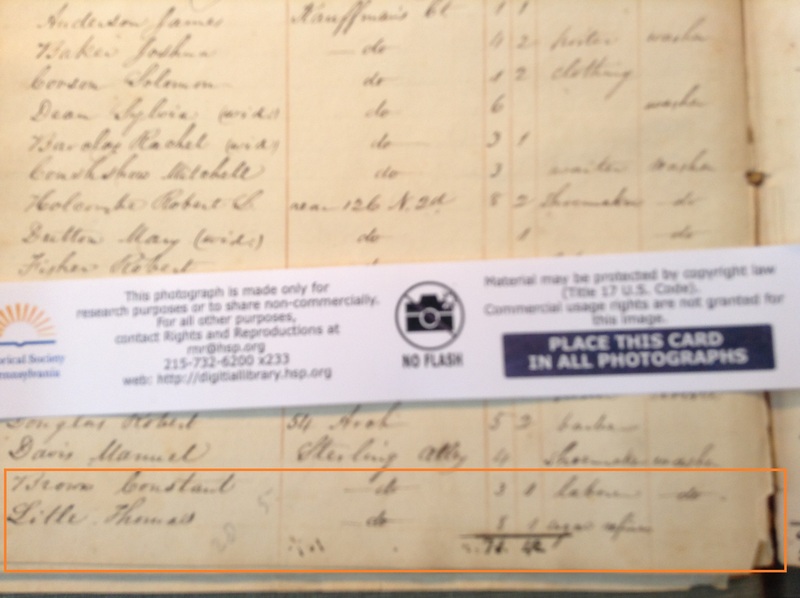 Catherine b.1798 is my 5th great-grandmother on my paternal side (h/t Linda Durr Rudd). The following outlines what I believe I know about Catherine Little b. 1798. 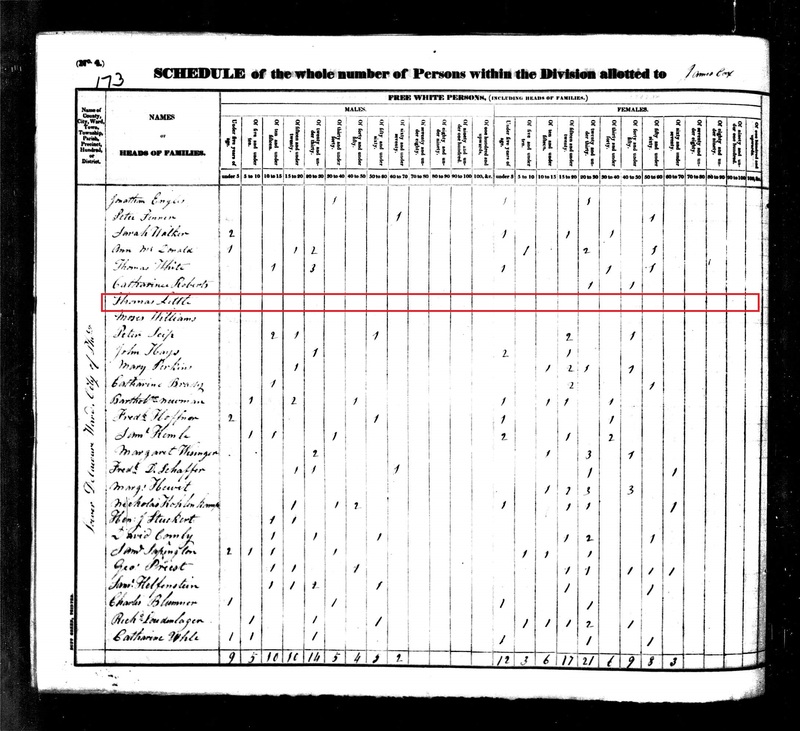 In 1820, Thomas Little and family lived in Philadelphia, Pennsylvania. Who might this be? I do not believe the family was wealthy enough to own a slave and would lean towards this person being an indentured servant or enslaved. As with many urban areas, indentured and enslaved people had vast mobility and I wonder if this person was a family member. 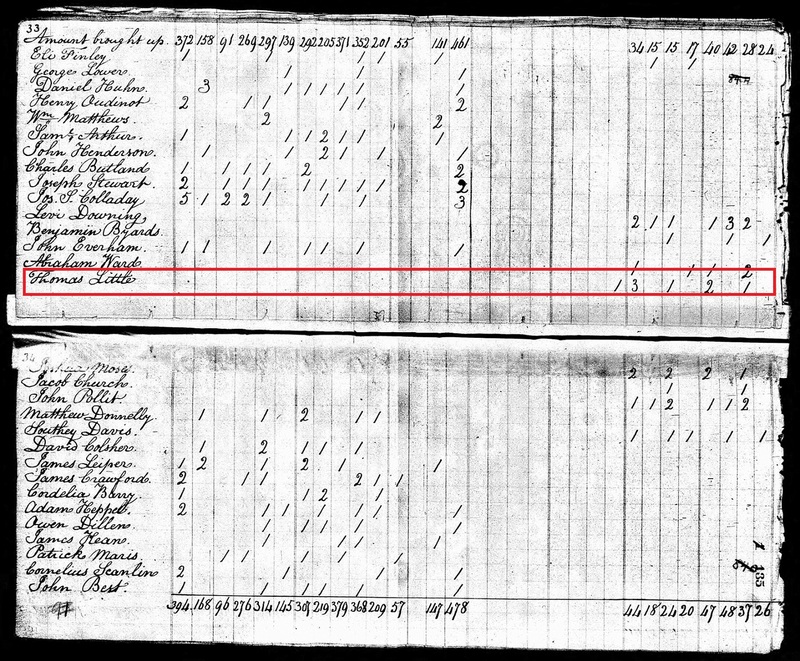 I don’t believe that this person was THE slave of the family but may have been enslaved and living with the family. Based on Gradual Emancipation in Pennsylvania, there are many possibilities for the true story behind this enslaved person living with Thomas Little and his family. In 1830, Thomas Little and family lived in Philadelphia, Pennsylvania. In 1840, Thos Little lived in Philadelphia, Pennsylvania. 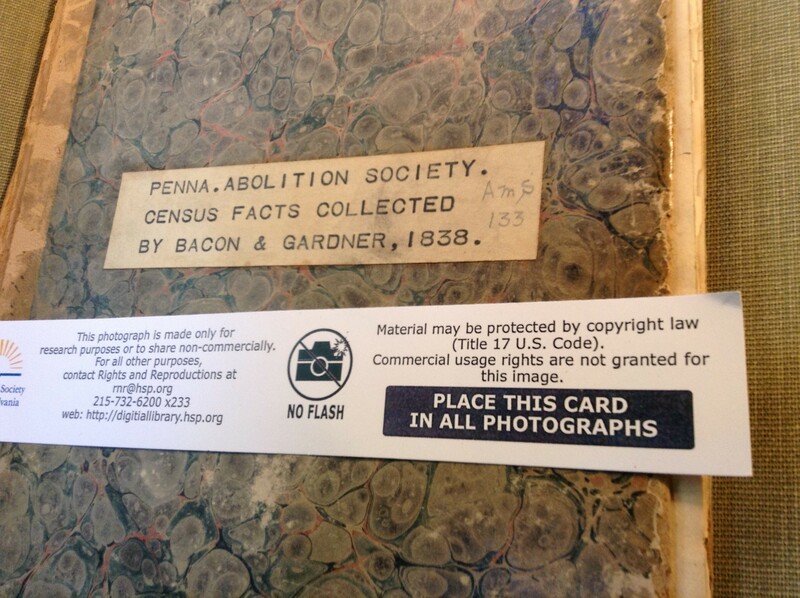 In 1850, Catherine Lightey was 60 years old and lived in Philadelphia, Pennsylvania. Catherine is found living next door to her daughter Catherine Hogan. In 1860, Catharine Littill was 72 years old and lived in Philadelphia, Pennsylvania. 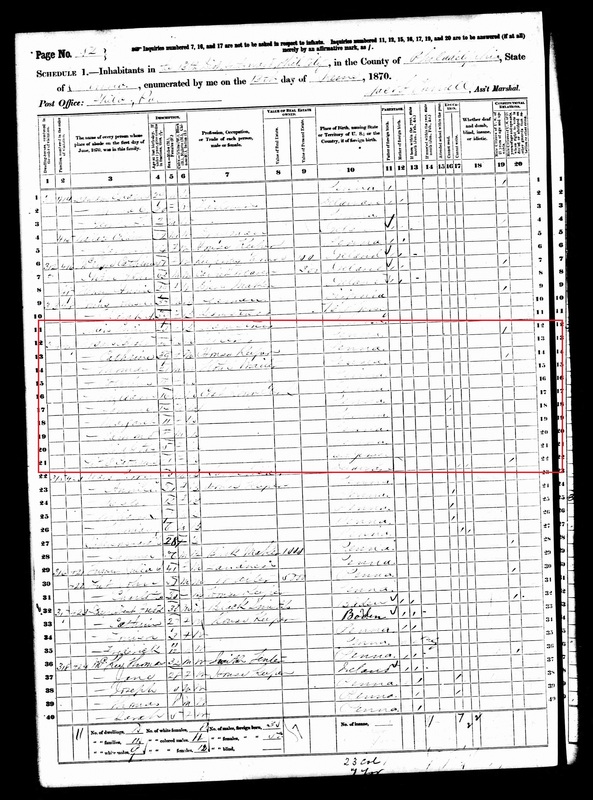 In 1870, Cathrine Litle was 81 years old and lived in Philadelphia, Pennsylvania. 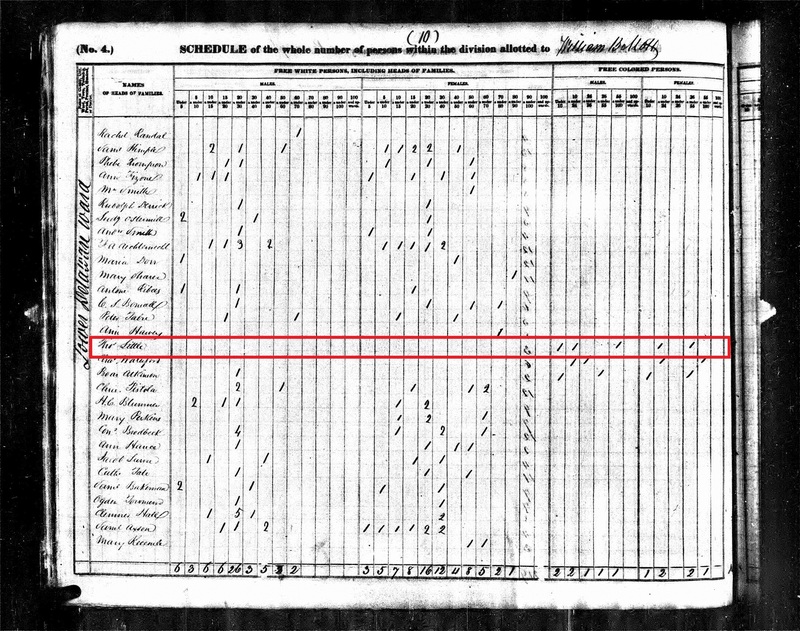 Who was the enslaved person living with Thomas Little in 1820? Is Thomas Little the husband of Catherine and the father of Catherine Little? Can the other Little children be identified? Was Catherine Little b. 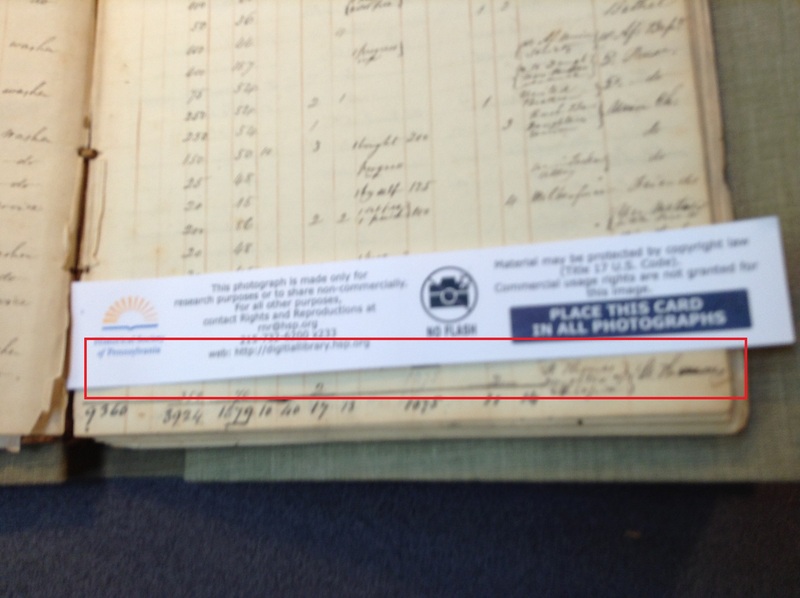 1798 born free, enslaved or indentured? How did she come to Philadelphia? What was her maiden name and where did she come from in New Jersey? Research in New Jersey has proven elusive but I’m just wrapping my head around what is available in Philadelphia. Forging Freedom by Gary Nash has been invaluable in shaping the framework for my research. Genealogy..a journey to the past present and future. A white person talks about race, unpacks privilege, blushes often. Who Do You Want In Your Kitchen On Game Day?